If you are interested in adding a sunroom to your house in the Minneapolis, Minnesota, area, turn to the experts at U.S. Patio Systems and Home Remodeling. 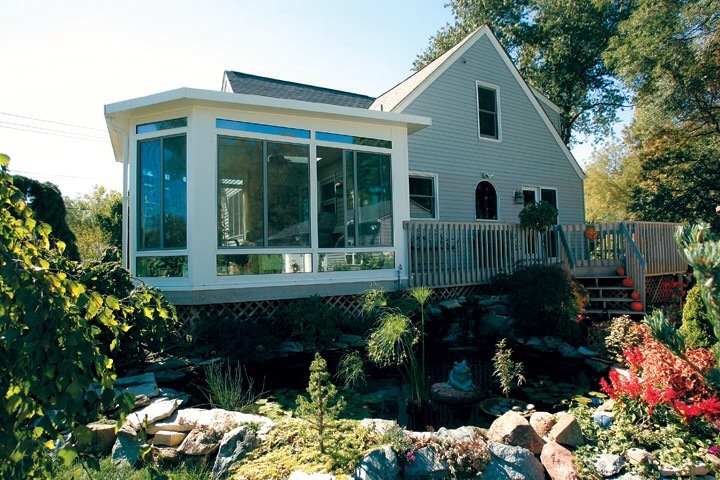 All of our sunrooms are manufactured by TEMO, which means they are high-quality, elegant, and built to last. Studio – This is TEMO’s most popular sunroom style and is perfect for any home since they can be used in 1-wall, 2-wall, and 3-wall setups. Walls-Only – Turn your existing patio into a beautiful sunroom by extending your living space with floor-to-ceiling windows. Solarium – With elegant, full glass windows and a glass ceiling, you can enjoy the sunshine year-round. California – This style is perfect for multi-story homes that want to bring in as much sunlight as possible. Cathedral – If you want beautiful vaulted ceilings that really open up your home, this is the sunroom style for you. Conservatory – If you are looking for a classic European look, you’ll love this design. Additionally, you’ll have your choice of a squared or faceted version to pick from. In addition to the various styles we offer, our TEMO sunrooms also come with a number of benefits to maximize your enjoyment. All sunrooms are low maintenance, which means you’ll have more time to spend relaxing in your new sunroom rather than worrying about its upkeep. All of the sunrooms we sell and install are also exceptionally durable and long-lasting, so you can rest assured your investment is worth it. To learn more about the sunroom varieties we offer to homeowners in the Minneapolis, MN, area, contact U.S. Patio Systems and Home Remodeling today.